HJC’s announces a brand-new model, the i 70. 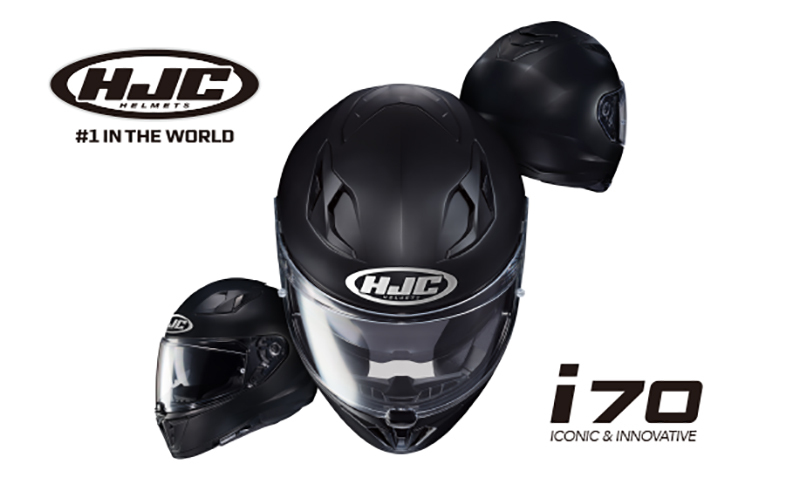 The i 70 is a sport-touring, full face helmet composed of HJC’s advanced polycarbonate material. 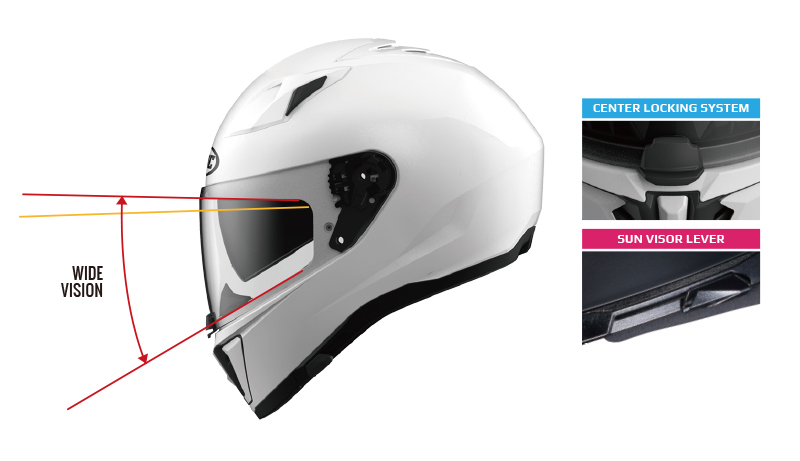 This model features an internal, drop-down sun-visor. The i 70 was designed to replace the IS-17 with a more modern, sleek design with upgraded technology. 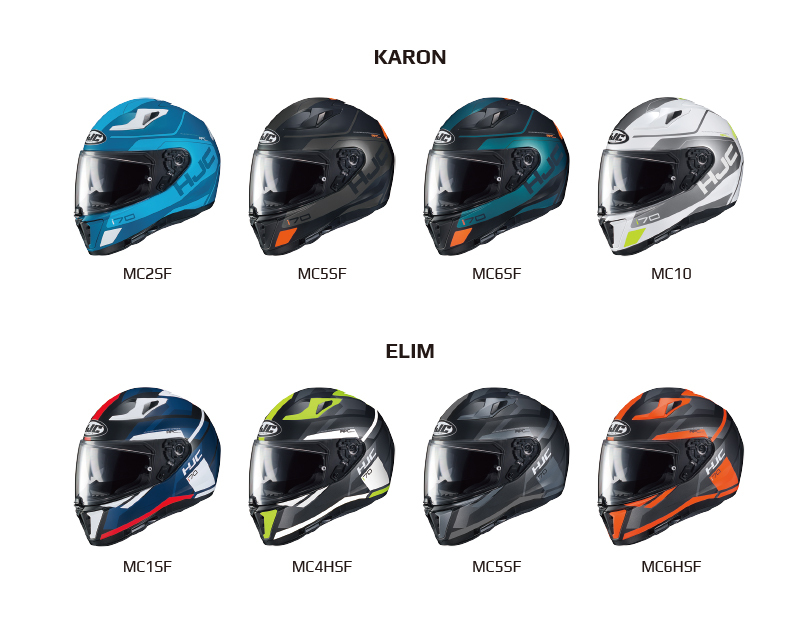 This aggressive, sleek design appears on a noticeable smaller shell for an extremely compact and lightweight helmet. The new HJ-31 shield creates more upward visibility and a new center locking system with upgraded durability. The i 70 features an inner, drop-down sun shield with a new, easy-to-use sun visor lever. Top vents optimize ventilation into the interior air channels and out through the exterior exhaust vent with an aerodynamic spoiler design. The lower vent utilizes multiple intakes. The i 70 includes speaker pockets for communication systems, as well as a wider glasses groove for glasses bands.